This past weekend, the New York Racing Association, hosted the Saratoga Challenge and the Fourstardave Challenge live money handicapping tournaments, offering a total of over $225,000 in cash prizes as well as two qualifying seats to the 2019 Belmont Stakes Challenge and 8 seats to the 2019 National Horseplayers Championships in Las Vegas. 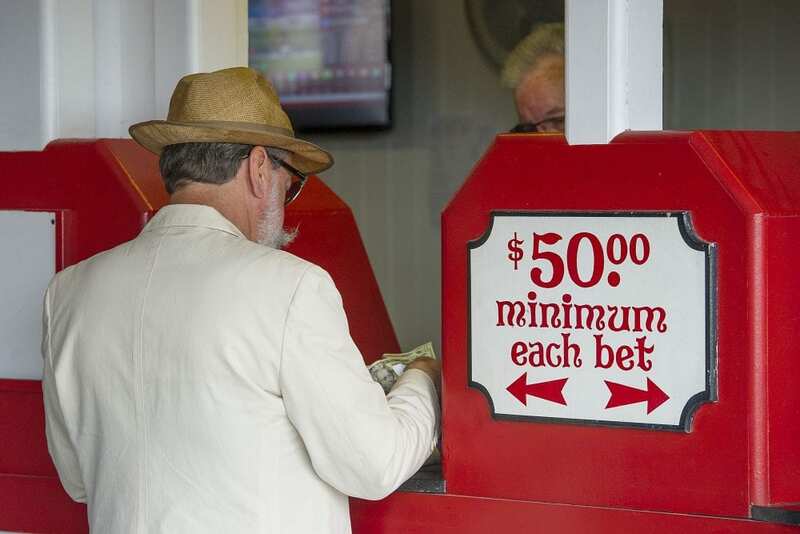 In the Saratoga Challenge on Friday, Paul Shurman of Dix Hills, New York won his first ever NYRA handicapping challenge of the year, ending the day with a bankroll total of $4,161 wagered exclusively on Friday's card at Saratoga from 215 entries. Collecting $29,365 in prize money, Shurman selected one seat to 2019 Belmont Stakes Challenge. In second-place was Robert Rosenzweig of Toronto, Canada awarded an NHC seat with $14,263 in prize money and a bankroll of $3,752. David Nelson of Exton Pennsylvania finished in third-place with a bankroll of $3,542 and $10,068 in prize money and also received a NHC seat. In fourth-place was Will Shurman of Danville, California with a bankroll of $3,484, $7,551 in prize money and won the last remaining NHC seat for the Saratoga Challenge. On Saturday in the Fourstardave Challenge, Joe Pettit of Charleston, South Carolina found his way to the top from 176 entries making his winning move in the last race of the day cashing in on a $1,300 straight exacta and a win wager. Netting $50,260 in prize money in addition to a bankroll of $20,785 on the day at Saratoga, Pettit eclipsed Dave Nichols from Wayne, Pennsylvania in second-place with a bankroll of $13,500 and $24,412 who was also awarded an NHC seat. Roger Cettina of Rumson, New Jersey finished in third-palce with $17,232 in prize money and a bankroll of $9,500 as well an NHC Seat. Rounding out the remaining NHC seat winners were Robert Little in fourth-place, James Videtic in fifth-place and John Behnke in sixth. For a full listing of results and prizes awarded for the Saratoga Challenge and Fourstardave Challenge please visit NYRA.com/challenge. This entry was posted in Horseplayers and tagged belmont stakes challenge, fourstardavechallenge, Handicapping, jot pettit, New York Racing Association, NHC, nyra, paul shurman, saratoga, saratoga challenge by Najja Thompson/NYRA. Bookmark the permalink.